I’ve always been mesmerised by red cars. My first one was a Mini I named Charlie and it had a hole in its floor and when it rained the passengers would bail out with a teacup I kept in the car for the purpose. One red car blew up on the motorway; another was stolen; yet another lost an embarrassing argument with a car park wall. I’ve been driven up the garden path by red cars because of seeing with my eyes and not thinking with my brain. A red car! I must have it!! Then I’m lured into the misery beneath. Wine can be the same. We’re tempted into buying because we like the look of the label. They’re clever, those marketing people. To help you buy wines based on wine label facts, and not on marketing, here’s a run-through of some terms you might see on a wine bottle. Vieilles vignes: This is French for old vines. Old vines are the wise things of the vineyard. They’re not young and giddy, they don’t produce lots of grapes, but the ones which are harvested have a special, concentrated, quality from those sage old vines. Classico: This Italian term indicates that a wine was produced in the heart of a region where the terroir is “classic” for that style. You’ll find Chianti wines – but a step above is Chianti Classico; and then there’s basic Soave wines and Soave Classico and so on. Hand-harvested : If you read that grapes have been hand-harvested, the wine producer has put money into manpower. 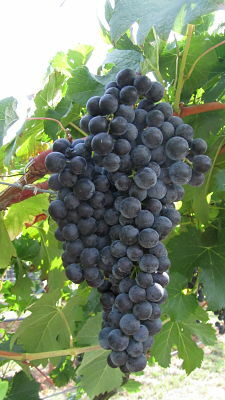 The grapes might be grown on slopes which are inaccessible by machine harvesters, or even better, human decisions could be involved in selecting the best grapes for the new wine to come. I like it when I see this on a label. Wine label facts: Many grapes are picked in the cool of the night. Don’t read this on a label and think … ah!! This is so romantic!! Picked in the cool of the night : Many, many grape varieties are picked in the coolest part of the night so they are more stable and the start of the winemaking process is easier; also vineyard workers aren’t struggling in the sun. It isn’t unusual, no matter how poetic it reads on a label. It’s like a shop putting up a notice “we stacked these eggs carefully so we wouldn’t break them”. I ask myself, was there something more interesting to put on the label about this wine? Possibly not. Sur lie: This means “upon the lees”. The lees is the residue at the bottom of the fermentation vessel when the yeast has finished its busy-body challenge of turning the grape sugars into alcohol. Some winemakers leave the new wine sitting on top of the lees occasionally stirring it. This will add a creamy mouthfeel and more depth to the wine. Frizzante: If your sparkling wine has the Italian word frizzante on the label it means it is semi-sparkling. This is opposed to spumante, which is fully-sparkling. If you like your bubbles, don’t miss out on half of them! Oak: If you see the words “new oak” it will mean that the winemaker has invested a bit of money into the wine which can only be a good thing. New oak isn’t cheap. Think of it as a teabag. New teabags impart lots of flavours, just like new oak. Oak will add notes of vanilla, spice and toast. Joven: You’ll see this on Spanish wines and it means young. If you like aged rioja with classic smoky, woody and vanilla notes, you won’t get that in a joven wine. They are young, fruit-forward, fresh and easy to drink. Gran Reserva: The polar opposite of joven. Rioja wines are treated with extra care and spend at least two years in oak and three in bottle before being released to the likes of you and me. I could go on for a very long time. 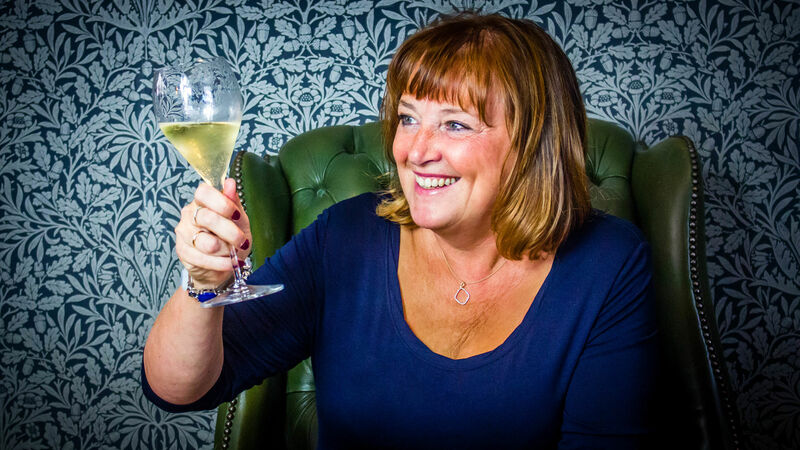 If you’re baffled drop me a line jane@onefootinthegrapes.co.uk. Only about wine mind. I can’t help with plumbing or wallpapering. PS I still drive a red car.